Communication complexity offers a clean theory that is extremely useful for proving lower bounds for lots of different fundamental problems. The two biggest goals of the course are: 1. Learn several canonical problems that have proved the most useful for proving lower bounds; 2. 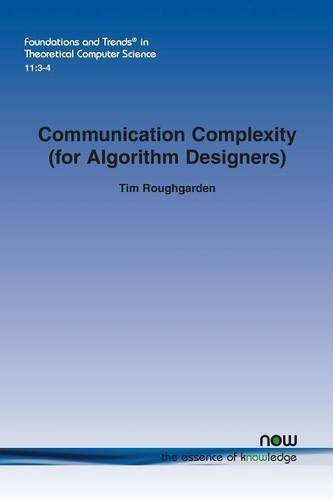 Learn how to reduce lower bounds for fundamental algorithmic problems to communication complexity lower bounds. Notes from a graduate courses on Computational Complexity. The first 15 lectures cover fundamentals, the remaining is advanced material: Hastad's optimal inapproximability results, lower bounds for parity in bounded depth-circuits, and more.